Its major export partners are Japan, the United States, and China. Its main exports are mineral fuels, animal or vegetable fats, and electrical machinery. Its major import partners are China, Singapore, and Japan. Its major imports include mineral fuels, boilers, machinery, and mechanical parts. Located in Southeastern Asia, Indonesia has a 2,958.00 km border with Timor-Leste (253 km), Malaysia (1,881 km) and Papua New Guinea (824 km). It has a 54,716.00 km coastline. Indonesia has a stated foreign policy objective of establishing stable fixed land and maritime boundaries with all of its neighbors. The capital city of Indonesia is Jakarta, located on the northwestern coast of the island of Java. The area is the centre for culture, economics, government, and media and has a rich history. Established in the fourth century as Sunda Kelapa, the area became an important trading port for the Dutch East Indies Trading Company. The city has been known as Jakarta since 1972 although, it was previously known as Jayakarta from 1527-1619. The 2010 Indonesian national census found that 9.6 million people live in Jakarta. This city is one of the most densely populated in the world with an area of 664 square kilometres and a ratio of 15,174 people per square kilometre. Jakarta is a capital that is highly diverse in terms of culture, ethnicity, and languages. Approximately 35% of residents identify as Javanese, 27% Betawi, and 5% Sundanese. There are also communities of Chinese, Malay, Batak, and Minangkabau among others. The climate of Jakarta is considered a tropical monsoon environment with heavy precipitation. 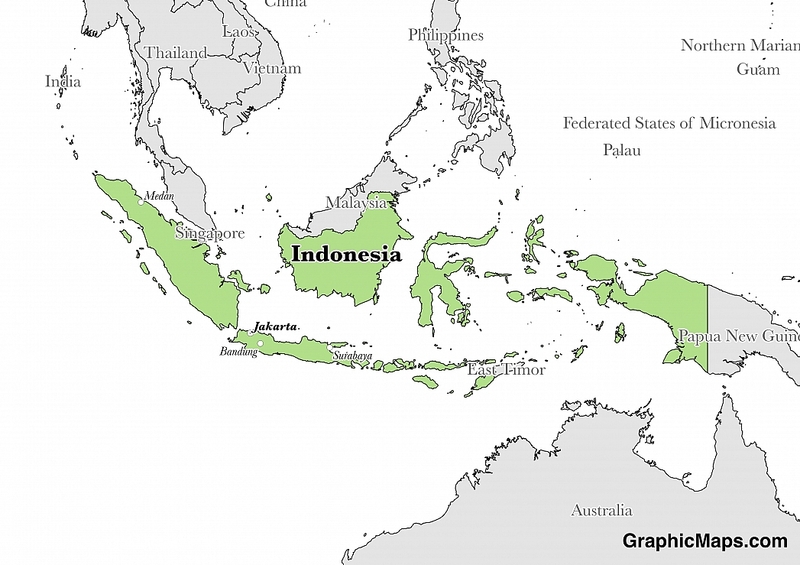 Indonesia is an Asian country covering 1,904,569.00 km2 of which 4.88% is water and 1,811,569.00 km2 is land. This makes it the 14th largest country in the world and slightly less than three times the size of Texas. Its geographic coordinates are 5 00 S, 120 00 E and Jakarta is the capital city. Its name comes from a construct of two Greek words, "Indos" and "nesoi", when put togethe mean "Indian islands". Its ISO code is ID. Indonesia has a mean elevation of 367 m above sea level. It has a tropical climate that is more moderate in the highlands. Its terrain mostly consists of coastal lowlands, with some mountains on large islands. Indonesia has a population of 258,316,051 making it the 4th largest in the world. The population is mostly concenrated on the island of Java. Bahasa Indonesia is the official language; English, Dutch and local dialects widely spoken. Major ethnic groups include Javanese and Sundanese. The most common religion is Islam. The capital city of Indonesia is Jakarta, located on the northwestern coast of the island of Java. The area is the center for culture, economics, government, and media and has a rich history. Established in the fourth century as Sunda Kelapa, the area became an important trading port for the Dutch East Indies Trading Company. The city has been known as Jakarta since 1972 although, it was previously known as Jayakarta from 1527-1619. The 2010 Indonesian national census found that 9.6 million people live in Jakarta. This city is one of the most densely populated in the world with an area of 664 square kilometres and a ratio of 15,174 people per square kilometre. Jakarta is a capital that is highly diverse in terms of culture, ethnicity, and languages. Approximately 35% of residents identify as Javanese, 27% Betawi, and 5% Sundanese. There are also communities of Chinese, Malay, Batak, and Minangkabau among others. The climate of Jakarta is considered a tropical monsoon environment with heavy precipitation. The dialing code for the country is 62. Indonesia is an independent country. It declared its independence in 1945. Its constitution was last ratified in 1945. The official language of Indonesia is Indonesian (also known as Bahasa Indonesian) and has been the primary tool of communication since independence in 1945. 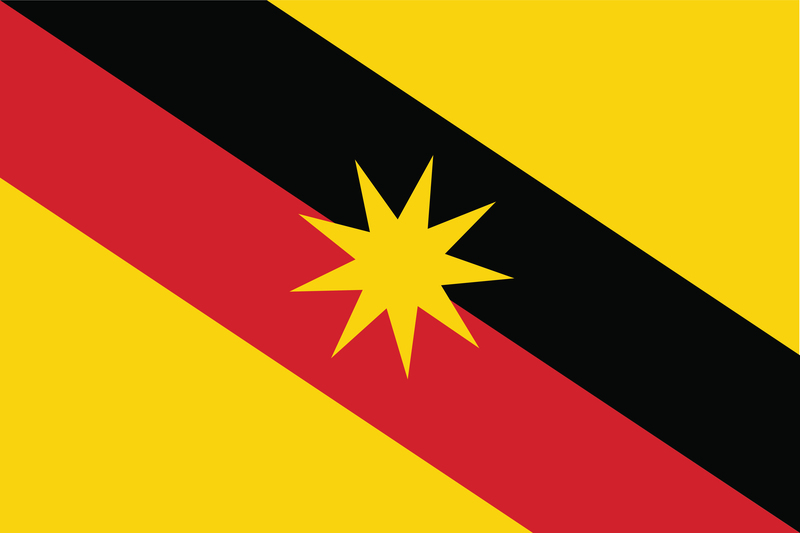 The dialect is a local standardized version of the Malay language which is part of the Austronesian language family. Indonesian is used in formal education, government administration, and mass media throughout the country. Indonesia is the fourth most populous nation on the planet; this large population contributes to Indonesian becoming one of the most widely spoken languages in the world. Javanese and Sundanese are the most prolific minority languages in Indonesia. Javanese is spoken throughout Java Island and several provinces in Kalimantan and Sumatra by over 80 million people. Factoring in Purchasing Power Parity, Indonesia's GDP is $3,030,000,000,000.00 (USD) with $11,700.00 (USD) per capita. This makes it the 8th largest economy and its citizens the 126th richest in the world. The currency of Indonesia is the Rupiah (IDR). Its major export partners are Japan, the United States, and China. Its main exports are mineral fuels, animal or vegetable fats, and electrical machinery. Its major import partners are China, Singapore, and Japan. Its major imports include mineral fuels, boilers, machinery, and mechanical parts. 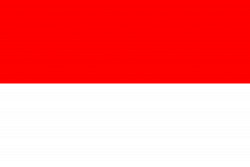 The Indonesian flag consists of two equally-sized horizontal bands of red (top) and white. The flag is almost identical to that of Monaco except for the dimensions of red and white. This design was made the official flag of the country on 17 August 1945 after Indonesia declared independence from the Netherlands in the aftermath of World War II.